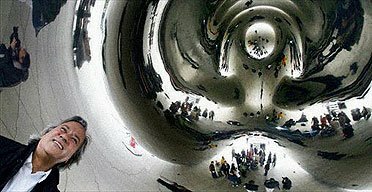 You know I like ‘Cloud Gate’ by Anish Kapoor. Aka ‘the bean’ in Millennium Park. I told you so in all these posts. Here’s more insight into it, from the paper with the best arts reporting in the English language, The Guardian (UK). You are currently browsing the archives for the Anish Kapoor category.